Fairisle suffers regular conflict between residents and parents who park across driveways, on footpaths and verges in order to park close to the school gates. Congestion during the school-run means poor visibility when crossing the road so parents are reluctant to let their children walk or cycle to school. There is a “Park & Stride” 5 minutes’ walk away but it sees little use. Children and adults discussed the issues and agreed how the street could be used in a different way. The street was then closed for an afternoon to test out the designs including new crossings and activity trails. 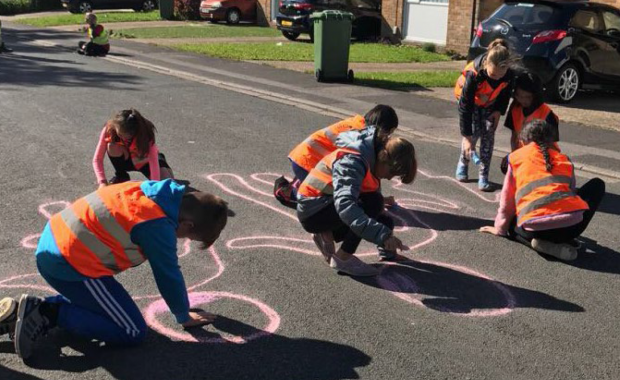 The event encouraged positive conversations between the school, parents/carers and residents and co-designing the new street design allowed all affected parties to have an input.